First Security Islami Bank Limited (FSIBL) was incorporated in Bangladesh on 29 August 1999 as a banking company under Companies Act 1994 to carry on banking business. It obtained permission from Bangladesh Bank on 22 September 1999 to commence its business. The commercial banking activities of the bank encompass a wide range of services including accepting deposits, making loans, discounting bills, conducting money transfer and foreign exchange transactions, and performing other related services such as safe keeping, collections and issuing guarantees, acceptances and letter of credit. The company philosophy “A step ahead in time” has been precisely the essence of the legend of Asian success; the bank has been operating with talented and brilliant personnel, equipment with modern technology so as to make it most efficient to meet the challenges of 21st century. At first in 1999 the bank incorporated as First Security Bank Ltd. and then in January 01, 2009 the bank changes its name and mode of business and incorporated as First Security Islami Bank Ltd.
Name of the Company : First Security Islami Bank Ltd.
Vice Chairman : Alhaj Mohammad Abdul Maleque. Syful Shamsul Alam & Co.
Vice Chairman- Alhaj Mohammed Abdul Maleque. Mr. A. K. M. Ali Johar. Managing Dircetor- Mr. A. A. M. Zakaria. Board & Company Secretary- Mr. Abdul Hannan Khan. First Security Islami Bank Limited aims to become one of the leading banks in Bangladesh by quality of operations in their banking sector. The bank has some mission to achieve the organizational goals. The bank believes in strong capitalization. It maintains high standard corporate and business ethics. First Security Islami Bank Limited extends highest quality of services, which attracts the customers to choose them first. First Security Islami Bank Limited provides products and services that encourage savings. First Security Islami Bank Limited’s main business mission is to obtain fine position in the banking sector of Bangladesh as well as internationally. It also emphasizes on a reasonable return from its investment to satisfy the shareholders. Their main objective is to maximize profit, which in turn will maximize wealth. First Security Islami Bank Limited is always ready to maintain the highest quality of services by banking technology prudence in management and by applying high standard of business ethics through its established commitment and heritage. First Security Islami Bank Limited is committed to ensure its contribution to national economy by increasing its profitability through professional and disciplined growth strategy for its customer and by creating corporate culture in international banking area. FSIBL is functioning with professional management team headed by the Managing Director Mr. A. A. M. Zakaria. Among other senior executives currently two DMD, One Principle(Training Center), two SEVP, fourteen SVP, eight VP, five FVP, eleven SAVP, five AVP and three FAVP are discharging their services in progression of the banks business. Top management of the bank is supported by human resource strength of 483 executives and officers. For smooth functioning of the Bank, following committees have been formed: Management committee (MANCO) comprises of senior members of the management headed by Managing Director of the bank. Asst Liability Management Committee (ALCO) headed by the Managing Director, is responsible for balance sheet risk management. The committee participate is the monthly ALCO meeting and review the liquidity position, review rate of interest on deposit and lending, and review the ALCO papers on presentation by treasury back office on the position of profit, deposit, advance, cost analysis, maturity bucket of deposit & advance, balance sheet, profit and loss account and many other issues relating to banks business and assets-liability management. FSIB has constituted 09 members executive committee of the board as per Bangladesh Bank guidelines to ensure corporate governance in the business of which managing director of the Bank is Ex-officio Member. The executive committee of the board is responsible for developing policy and strategy for smooth operations of business and business development of the bank to ensure maximization of shareholders wealth’s protecting other stakeholder’s interest in the company Mr. Alhaj Md. Saiful Alam, Chairman of the board of Directors is the Chairman of the present Executive Committee of the bank. He is very dynamic person and leading the executive committee of the bank in a very manner. Total number of employees stood at 483 as on 31st December 2008. The bank continued to encourage its employees to receive training and participate in various seminars and workshop to enrich their professional skills. First Security Islami Bank Ltd. has implemented successfully Automated Teller Machine (ATM) card transaction from June 25, 2008. Through Automated Teller Machine (ATM) /Debit card, customer can avail the facilities like withdrawal money, balance inquiry and purchase goods from Point of sale (POS) using Dutch Bangla Bank Ltd. ATM Booth and POS. FSIBL have set up Wide Area Network through Radio, Fiber-Optics & other available communication media systems to provide any branch banking to our customers. First Security Islami Bank Ltd. has officially launched SMS banking service from December 17, 2007. For safekeeping of customer’s valuables like important documents and goods like jewelries and gold ornaments, FSIBL Locker Service is available in most of the Branches in urban areas. General banking is the side where banks offer different alternatives to the clients to deposit and remit their money. Accounts division is also included in general banking. To encourage the clients, bank offers different options in front of their clients. Most of these options are very much similar between the banks, but the customer services and facilities may not be the same. First Security Bank Limited has variety of services provided to the retail as well as for corporate clients. General Banking department aids in taking deposits and simultaneously provides some ancillaries services. It provides those customers who come frequently and those customers who come one time in banking for enjoying ancillary services. In some general banking activities, there is no relation between banker and customers who will take only one service form Bank. On the other hand, there are some customers with who bank are doing its business frequently. It is the department, which provides day-to-day services to the customers. Everyday it receives deposits from the customers and meets their demand for cash by honoring cheques. It opens new accounts, demit funds, issue bank drafts and pay orders etc. since bank in confined to provide the service everyday general banking is also known as retail banking. Initially all the accounts are opened through deposit money by the customer and these accounts are called deposit account. Normally a person needs to open an account to take services from the bank. Without opening an account, one cannot enjoy variety of services from the bank. Thus, the banking usually begins through the opening of the account with the bank. A current account is a running and active account, which may be operated upon any number of times during a working day. It is purely demand deposit account because the bank is bound to pay the amount to the accountholder on demand at any time within the banking hour. There is no restriction on the number and the amount of withdrawals from a current account. Generally the minimum amount to be deposited initially is tk. 1000/- for opening a current account. A saving account is meant for the people of the lower and middle classes who wish to save a part of their incomes to meet their future need and intend to earn an income from their savings, it encourages savings of non-trading persons, institutions, society and clubs etc. The deposits are mostly small amounts. Frequently withdrawals are not allowed. Application on the prescribed form: The person willing to open a current account with the bank has to apply in the prescribed form. The form must be filled up and signed accordingly by the applicant (s). Partnership deed (from Notary public), partnership letter. The applicant required to furnish in the application form the names of the referees from whom the banker may make requires regarding the character, integrity and respectability of the applicants. In most cases, the customer of the bank does the introduction or some other person known to the bank by signing on the application form with the account number. Every customer is required to supply to his banker with one or more specimens of his/her signature. These signatures are taken on cards, which are preserved by the banker, and his signature of the account holder on the cheque is compared with Specimen signatures. A pay in slip/deposit book: To facilitate the receipt of credit items paid in by a customer, the bank will provide the customer a pay in slip either loose or in a book forms. The customer has to fill up the pay in slip at the time of depositing the money with the bank. The casher with his/her initials and stamps will return the counter foil to the customer on the receipt of the money. Cheque Book: To facilitate withdrawals and payments to third parties by the customer, the bank will also provide a chequebook to the customer. But it is noted that to get a chequebook, the customer has to dully fill up the cheque requisition slip to the banker. 1. upon the request of a customer, an account can be closed. The customer may inform the bank in written of his/her intention to close the account. The customer has to apply to the branch in charge for closing the account. Then the in charge will remark on the account closing application for closing the account. 2. The bank may itself ask the customer to close the account when the banker finds that the account is not been operated for a long lime. If this not the operated upon for 2 years then the account becomes “inoperative” account. If the current account lying in “inoperative” current account for many years then the account will be transferred to the “unclaimed deposit account. A new register for unclaimed deposit account will be maintained called “unclaimed deposit account. For withdrawal at any amount from the account, permission from head office or controlling office wins is required. These are the deposits, which are made with the bank for fixed period specified in advance. It is purely a time deposit account. The bank doesn’t maintain cash reserves against deposits and therefore the bank offers higher rates of interest on such deposits. A FDR is issued to the depositor acknowledging receipt of the sum of money mentioned therein. It is also a time deposit account. The formalities for opening is of this account are to those required for current account. The only difference is that, frequent withdrawal is discouraged and 7 days notice is required for withdrawal of any sum and interest is paid. In Short Term Deposit Account, interest offered is less than of savings deposit, 6% interest is paid on this deposit. Mudarabah Monthly Saving Scheme is that kind of scheme of FSIBL, where deposit is monthly installments of various sizes for a fixed deposit and the benefit is lump sum returns after various terms of period. So this scheme is introduced to attract depositors and encourage saving (mainly the smaller earner people). Mudarabah Monthly Profit Scheme is that kind of scheme, where a fixed amount of money has to be deposited every month for five years. Explore investment opportunities for school, college, university etc. In this scheme, a fixed amount of money, say tk. 50,000 or it’s multiply for 7 years has to be deposited. After 7 years deposited amount will be doubled. The pay order is used for making a remittance to the local creditor. Pay order gives the payee the fight to claim payment from the issuing bank, it can be en-cashed from issuing bank only. Unlike cheque, there is no possibility of dishonoring pay order because before issuing pay order bank takes out the money of the pay order in advance. Pay Order cannot be endorsed or crossed and so it is not negotiable instrument. Demand draft is an order of issuing bank on another branch of the same bank to pay specified sum of money to the payee on demand that is the named person or order of the demand. It is generally issued when customer wants to remit money in any place, which is out side of the clearing-house area of issuing branch. Payee can be purchaser himself or another mentioned in the DO. It is a negotiable instrument and it can be crossed or not. This method transfers money to one place to another place by telegraphic message. The sender branch will request another branch to pay required money to the required payee on demand. Generally, for such kind of transfer payee should have account with the paying bank. Otherwise it is very difficult for the paying bank to recognize the exact payee. When sending money is urgent then the bank uses telephone for remittance. This service is only provided for valued customers, who is very reliable and with which banks have long-standing relationship. Where the remitter desires the banker to remit the funds to the payee instead of purchasing a draft himself the banker does it through a mail transfer advice. The payee must have an account with the paying officer as the amount remitted in such a manner is meant for credit to the payee’s account and not for cash payment. It is the least used technique for transferring fund. Where there is no telex machine or telephone line then this method is used. Internal clearing or inter branch clearing or inward clearing. Inward clearing involves clearing Cheques/DD/PO, which come to the FSIBL, New Eskaton branch through clearing house for collection. The clearing officer receives then enters them in the inward logbook. Then sends them to the cash department for checking the account condition. If any problem is found with the instrument, it is marked as ‘dishonored’ mentioning the reason as mentioned above and he sends to the clearing officer. The clearing officer removes Cheques/DD from logbook and informs the matter to the branch. The cheques, PO, DD of different banks, which are submitted to FSIBL, Topkhana Road Branch, for collection, are known as out- Ward clearing cheques. The procedure is quite lengthy. Customers deposit Cheque draft etc for collection attaching with their deposit sleep. Instrument within the range of clearing arc collected through local clearing house but the other which are outside the clearing range are collected through OBC mechanism. A customer of FSIBL bank principal branch local office Dhaka is depositing a Cheque of Sonali bank Cox’s‑Bazar. New as a collecting bank FSIBL Bank principal branch will perform the following task. 1. Received seal on deposit slip. 2. FSIBL local office principal branch crossing indicating them as collecting bank. 3. Endorsement give payees A/C will be credited on realization. 4. Entry on register from where a controlling number is given. Collecting bank can collect it either by its branches of by the drawer’s bank they will forward the bill then to that articulate branch. OBC number will be given on the forwarding letter. Ex:Two parties(X, Y), two banks (FSIBL, Topkhana Road Branch, FSIBL, Dilkusha Branch). Party “y” gives a Cheque of Dilkusha Branch to party “x” of Topkhana Road Branch. Party x deposit it to Dilkusha Branch than the p.p branch will send it to the Topkhana Road Branch. In that case Topkhana Road Branch will give entry. 1. Entry in the IBC register, IBC number given. 2. Endorsement given‑ “our branch endorsement confirmed”. 3. The instrument is sent to clearing for collection. Now following procedures will take place in case of the following two cases. 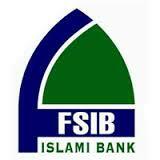 Case islami bank will give a D.D in favor of FSIBL Dilkusha branch. Than FSIBL Dilkusha branch will send it to the clearinghouse for collection. The entire number banks representative daily conducts two meetings at a fixed time. In their first meeting they handover cheque, drafts etc. passed, which has drawn upon them. In case there are certain cheques, which could not be honored are returned to the presenting banks with the reason of non-payments in the second meeting at he clearing-house. Bangladesh Bank clearing their house sites twice in a day. In its first meeting Bangladesh Bank clearing-house received instruments and distributes the same among the representatives comes with returned instruments and distributing among the representatives. Software called NIKASH supplied by Bangladesh Bank is used in clearing of the cheques and other instruments. The in-charge of clearing section makes clearing slip for each cheque through computer using NIKASH and finally this cheques are send to the Bangladesh Bank Clearing-House sorting bank wise. Crossing is a direction to the paying bank to pay the money generally to a bank or a particular bank; so that it can be easily traced out for whose use the money was received. An endorsement is the mode of negotiating, a negotiable instrument. Inward: It means what are receives from the outside. Outward: It means what sent to the outside. It is also divided into (a) Ordinary. (b) Registered and (c) Local. FSIBL is committed to provide high quality financial services/products to contribute to the growth of G.D.P. of the country through stimulating trade & commerce, accelerating the pace of industrialization, boosting up export, creating employment opportunity for the educated youth, poverty alleviation, raising standard of living of limited income group and over all sustainable socio-economic development of the country. In achieving the aforesaid objectives of the Bank, Investment Operation of the bank is of paramount importance as the greatest share of total revenue of the Bank is generated from it, maximum risk is centered in it and even the very existence of Bank depends on prudent management of its investment portfolio. The failure of a commercial Bank is usually associated with the problem in investment portfolio and is less often the result of shrinkage in the value of other assets. As such investment portfolio not only features dominant in the assets structure of the Bank, it is critically important to the success of the Bank also. To invest fund strictly in accordance with the principles of Islamic Shariah. To diversity its investment portfolio by size of investment, by sectors (public and private) by economic purpose, by securities and by geographical area including industrial, commercial & agricultural. To ensure mutual benefit both for the Bank and the investment client by professional appraisal of investment proposals, judicious sanction of investment close and constant supervision and monitoring thereof. To make investment keeping the socio economic requirement of the country in view. To finance various development schemes for poverty alleviation, income and employment generation with a view to accelerate sustainable sonic-economic growth and for development of the society. To encourage social development enterprises. To shown even highly profitable investment in fields forbidden under Islamic Shariah and are harmful for the society. The Bank extends investments under the principles of Bai-Murabaha, Bai-Muazzal, Hire Purchase under Shirkatul Meelk and Mudaraba. Investment operation of a Bank is vital importance the greatest share of total revenue is generated from it, maximum risk is centered in it and the very existence of a Bank mostly depends on prudent management of its Investment Port-folio. As such, for efficient deployment of mobilized resources in profitable, safe and liquid investments, a sound, well-defined, well-planned and appropriate Investment Policy framework is necessary prerequisite for achieving the goal of the Bank. The special feature of the investment policy of the Bank is to invest on the basis of profit-loss sharing system in accordance with the tenets and principles of Islamic Shariah Earning of profit is not the only motive and objective of the Bank’s investment policy rather emphasis is given in attaining social good and in creating employment opportunities. The study of a borrower is a study of his character, capacity and capital often known as the three “C’s” with a view to consider his credit worthiness and eligibility for a bank investment. Sometimes the words respectability or business moralities are used for character. Respectability does not mean that the borrower should be a title holder or the head of an institution. These points certainly deserve consideration but respectability is more akin to honesty in business dealings. Capacity means the ability to employ the funds profitably and repay the investment according to the terms and conditions of the sanction, the capacity of the investment according to the terms and conditions of the sanction. The capacity of the customer has to be determined and for this purpose enquiries will be necessary to find out his qualifications and experience in the borrower’s own capital. If he has sufficient capital of his own to invest in the business besides the investment applied for he will be considered a more suitable investment customer than one working entirely or mostly with borrowed money. In order to get a complete picture of the borrower’s credit worthiness, enquiries will have to be made about his business, trade experience assets and liabilities, etc. from various sources. His account with the bank or other banks will throw light on his personal habits and business dealings. His financial statements and income tax returns will have to be seen. Probably an interview with him will be necessary to elucidate or supplement the information that may have been collected. There are hardly any credit agencies in Bangladesh which assist banks in Bangladesh information is usually brief and sketchy and does not give sufficient information that could be of much practical use. It would appear that banks could be in a better position to serve the business community and themselves, if they evolve a system by which detailed credit reports on customers are communicated to each other. Status reports on borrowers are sometimes called credit reports, financial reports, bankers, opinion or confidential reports. All these terms carry more or less the same meaning. A status report is an assessment of the borrower’s character, capacity and capital from the point of view of a banker. b) Market reports through friends or rivals mostly from the borrower’ trade or business. d) Borrower’s account with the bank or statements of accounts with other banks. e) Statements of assets and liabilities. In the case of companies, their balance sheets and profit and loss account for, say, three years, records of the Registrar of companies, etc. I) Trade and other reports in the press. j) Reports about actions and decrees in Government Gazettes. k) Registration, revenue and or municipal records. l) Other bankers and branches of the bank. m) Operations by a customer on his safe custody account or locker. n) Bangladesh Bank Credit Information Bureau. o) Personal Contact including personal interview. In addition to the information collected from outside sources, it is advisable and perhaps profitable to arrange for a personal interview with the borrower. An experienced banker armed with the reports he already has with him, can gather a lot of information on various points through an interview and should thereby be in a position to asses the three “C’s” of the prospective borrower. A personal interview is one of the most important duties of a banker and this responsibility should in no case be delegated to an inexperienced officer. An interview with the borrower may be held in the bank’s office or outside say in a club where the borrower may be invited, or even at the borrower’s place. It may be formal with previous appointment or may be arranged through a common friend. Whatever may be the venue or the manner of the interview, its essential purposes in only one, via, to make first hand study of the borrower? ii) His capital with particular reference to his working capital. iii) His experience in the line. v) Amount of the advance and period. vi) Purpose of the advance. x) Type of charge available. All proposals for investment /financial assistance should be prepared on the relevant forms prepared by the bank. A proposal must contain exhaustive information under all the columns in the prescribed form. No query should be left unreeled or vaguely replied. A resume of the party’s relation with the bank should be given in detail. The proposal must contain the details as to the amount, type of security, nature of the change to be created, rate of return, margin, insurance risk to be covered etc. It must also contain the sources of the payment clearly. Where a guarantor is proposed the credit report on the guarantor and his worth should be prepared. The class to which the party belongs, his character, and ability to run the particular business, his reputation in the trade of profession, his technical or other qualifications, the demand and potential for the end product, the purpose for which the investment is being raised, the condition of the industry as a whole, and if it will help in earning foreign exchange for the country reduce unemployment, promote all round production in the agricultural and industrial field etc are some of the important information which require to be reported/taken care of when processing a proposal for investment. A through investment and risk assessment should be conducted prior to the granting of investments and at least annually thereafter for all facilities. The results of this assessment should be presented in an investment proposal that originates from relationship manager/account officer and is approved by Head of Investment Division. The relationship manager/account officer should be the owner of customer relationship and must be held responsible to ensure the accuracy of the entire investment proposal. The following steps for completion of Investment Risk assessment for each facility should be followed in conjunction with the guidelines/instructions given in Head Office circulars issued from time to time. All proposals of investment facilities must be supported by a complete analysis of the proposed investment. A comprehensive and accurate appraisal of the risk in every investment exposure of the Bank is mandatory. No proposal can be put up for approval unless there has been a complete written analysis. Amount and type of investment(s) proposed. The majority shareholders, management team and group of affiliate companies should be assessed. Any issues regarding lack of management depth, complicated ownership structure or inter group transactions should be addressed, and risk mitigated. The key risk factors of the borrowers industry should be assessed. Any issues regarding the borrower’s position in the industry, overall industry concerns or competitive forces should be addressed and the strengths and weaknesses of the borrower relative to its competition should be identified. Supplier/Buyer Analysis Any customer or supplier concentration should be assessed. Any issues regarding the borrower’s position in the industry, overall industry concern or competitive forces should be addressed and the strengths and weaknesses of the borrower relative to its competition should be identified. An analysis of a minimum of 3 years historical financial statements of the borrower should be presented. Where reliance is placed on a corporate guarantor, guarantor financial statements should also be analyzed. The analysis should address the quality and sustainability of earnings, cash flow and the strength of the borrower’s balance sheet specifically; cash flow, leverage and profitability must be analyzed. Mitigating factors for risk identified in the investment assessment should be identified. Possible risk include, but are not limited to margin sustainability and/or volatility, high debt investment (leverage/gearing), overstocking or debtor issues; rapid growth, acquisition or expansion; new business line/product expansion; management changes or succession issues; customer or supplier concentration; and lack of transparency of industry issues. The amounts arid tenors of financing proposed should be justified based on the projected repayment ability and investment purpose. Excessive tenor or amount relative to business needs increase the risk of fund diversion and any adversely impact the borrower’s repayment ability. Security a current valuation of collateral should be obtained and the quality and priority of security being proposed should be assessed. Investments should not be granted based solely on security. Adequacy and the extent of the insurance coverage should be assessed. Investment proposals should not be unduly influenced by an over reliance on the sponsoring principals reputation, reported independent means, or their perceived willingness to inject fund into various business enterprises in case of need. These situations should be discouraged and treated with great caution. Rather, investment proposals and the granting of Investments should be based on sound fundamental, Supported by a thorough financial and risk analysis. The risk grading system should define the risk profile of borrowers to ensure that account management, structure and pricing are commensurate with the risk involved. Risk grading is a key measurement of a Bank’s asset quality, and as such, it is essential that grading is a robust process. All facilities should be assigned a risk grade. Where deterioration in risk is noted, the Risk Grade assigned to a borrower and its facilities should be immediately changed. Borrower Risk Grades should be clearly stated on investment proposal. I. Overdraft: When a current account holder is permitted by the bank to draw more than what stands to his credit, such advance is called an overdraft. The banker may take some collateral security or may grant such advance on the personal security of the borrower. FSIBL gives this overdraft facility to its reputed clients. II. Consumer credit: Consumer credit is relatively new field of micro credit activities. People with limited income can avail this facility to buy household products such as Furniture, TV, Refrigerator, Car, etc. III. General loan: When a advance is made in a lump sum, repayable either in fixed monthly installment or in lump sum and no subsequent deduction allowed except by way of interest or incident charge etc. is called a general loan. The whole amount of loan id debited to the customers name on a loan account to be opened by the bank and is paid to the borrower either in cash or in his/her CD/SD account. IV. Payment Against Documents (PAD): A PAD facility is provided by the bank to customer against the banks to documents/bill, like bill of leading, warehouse keeper certificate, delivery receipt, dock warrant. In other word, payment made by bank against lodgment of shipping documents of goods imported through L/C facility under this head. V. Packing credit: Packing credits is essentially a short-term advance granted to an exporter for assisting him to process, pack, and ship the goods. There is no cash amount involved in this kind of loan. L/C and Bank Guarantee fall in this kind of loan. In case of L/C foreign exchange department mainly deals with it. The terms “Bai-Mubaraha” have been derived from Arabic word and the word means purchase and sale and the word means an agreed upon profit. “Bai-Mubaraha” means sale on agreed upon profit. Bai-Mubaraha may be defined as a contract between a Buyer and a seller under which the seller sells certain specific goods permissible under Islamic Shariah and the Law of the land to the buyer at a cost plus agreed profit in cash or on any fixed future date in lump or by installments. Bank shall purchase the goods so that ownership of Bank on the good is established at least for a moment. The bank may also engage the investment client as Buying Agent as per previous agreement to purchase the goods from third party on behalf of the Bank who after purchase shall handover possession of the same to the Bank at least for a second and there after the same shall immediately taken into pledge of the Bank. (Please refer to engaging investment client as buying agent for detailed procedure). There must be three parties in order to perform buying a selling under Murabaha (a) Bank (b) Seller of Goods (c) Purchaser of Goods. Goods however must not be purchased from client of from any of its sister concern. Goods must also be halal as per Shariah. A commodity in the true sense of the term must be involved in buying and selling. There must be an agreement between the Bank and the client. Cost of the goods sold and the amount of profit added there with should be separately and clearly mentioned in the Murabaha Agreement. After procurement of the goods the client shall take delivery of the same signing on the reverse of the purchase schedule and immediately there after the bank shall take the goods in to pledge as security of Bank’s investment. The client makes a request to the bank or prescribed pro-forma along with the original purchase memo/invoice of the goods from the supplier of goods. The client specifically mentioned the price of the goods and amount of profit he likes to offer to the bank. The branch verifies the actual wholesale and retail price of the goods, its quality and its present, past and future market trend through its marketing personnel. The marketing report of the goods duly signed by the authorized officer is a part and parcel of the investment proposal. The credit report of the client must invariable be included in the proposal. After being fully satisfied about the client, the branch on receipt of HO approval will purchase the goods in the name of the bank. The payment is made directly to the supplier/seller of the goods/commodities through account payee-pay order after completion of all documentation and other formalities required by bank. The branch will retain margin in goods, as determined by the bank. The goods are insured covering all possible risks with bank’s mortgage clause in the joint name of the bank and the client. Registers like, murabaha ledger, stock valuation register, insurance register etc. must be maintained. The goods are purchased and transported to the bank’s or client’s go down. As the case may be under strict control and supervision of the bank and the goods are stored under bank’s lock and key. Letter of Pledge along with original purchase memo/ invoice of the goods. Letter from the client handing over physical possession of go down. Letter from the client making them liable in case of theft from go down. If there are three parties, the buyer, the seller and the bank as an intermediary trader between the buyer and the seller, where the Bank upon receipt of order from the buyer with specification and a prior outstanding promise to buy the goods from the Bank, purchases the ordered goods and sell those to the ordering buyer at a cost plus agreed profit, the sale is called “Bay-Murabaha on or promise”, generally known as Murabaha. Payment made by the bank against Lodgment of shipping documents of goods imported through L/C falls under this head. It is an interim investment connected with import and is generally liquidated against payment usually made by the party for retirement of the documents for release of imported goods from the customs authority. It falls under the category “commercial Lending”. Bai Muajjal may be defined as a contract between Buyer and Seller under which the seller sells certain specific goods(permissible under shariah and law of the country),to the buyer at an agreed price payable at a certain fixed future date in lump sum or within a fixed period by fixed installment. The seller may also sell the goods purchase by him as per order and specification of the buyer. It may be noted here that in case of Bai –Muajjal and Bai –Murabaha, the Islamic Bank is a financier to the client not in the sense that the bank finances the purchase of goods by the client rather it is a financier by deferring the receipt of the sale price of goods, it sells to the client. If the bank does not purchase the goods or does not make any purchase agreement with the seller but only makes payment of any goods directly purchased and received by the client from the bank seller under Bai –Muajjal/Bai Murabaha agreement, that will be a remittance or payment of the amount on behalf of the client any profit on this amount shall be nothing but interest. The bank is not under obligation to advise the cost of goods/items and profit margin separately to the client. Sale price of the goods/items is payable by the client of a certain future date, in lump sum or in installment. The deal, being a credit sales, ownership and possession of the sold items is transferred to the client by the bank prior to receipt of sale price. There should be three parties involved in sale agreement—the bank, the client and the supplier of goods/items. Once the agreement is made then bank will not share in any loss or refax the sale price of commodity at a lower rate even if the goods/items, non-it can add any profit when the client earns high rate of profit due to increases of the price of goods. Bank cannot charge penalty or similar fee from the client, in case the client pays in sales price to bank later than the date mentioned in the agreement. In conflict with HO guidelines. Branch manager visits the business site, verify the things mention in the application, client honesty, integrity and business dealing as reasonable sources. Branch not finalize the proposal until receipt of confidential report from all local banks and financial and credit institution. Branch manager prepares appraisal report on prescribed form for all proposals. Branch will have inspected the property of the client that will be mortgage. Lawyer declaration is also need for this purpose. On completion of appraisal the branch send a proposal to the HO for approval of BM investment. The HO perusal the proposal and if it thinks fit for investment HO give approval and sent to the branch. HO shall not issue any separate sanction/regret advice to the branch. The branch obtains a copy of BM Advice from the client duly accepted. This should be preserved with other documents as here under provided. They maintain all kinds of ledger and register books. The assets shall be kept insured to the extent of its book value plus 10% covering all risks including fire, R&D, R.C.C. in the joint name of the bank as owner and the client as hirer at bank’s cost. The condition of obtaining of insurance policy may however be waived for the assets representing consumer durable with prior permission of HO. On receipt of the policy from the insurance co.; check it up to ensure that it has been issued for the amount and with the warranties desired by the bank and also the policy is duly stamped. Branch should engage a responsible officer to purchase/procure goods from market as per invoice /quotation or according to specification as requested by client. The branch must obtain transit insurance in case the goods are required to be purchased from outstation. Help of local branch may be obtained to purchase goods. Imported goods must be cleared from the custom authority through clearing agent or bank’s approved list. The landed cost at the port of entry as assessed by the customs in case of imported goods. The ex-mill/factory price in the case of domestic manufacture commodities. The wholesale price fixed by the government, if any, when no such wholesale price is fixed by the government valuation will be based on the competitive price to be ascertained by the bank. Just after procurement/purchase goods, branch should prepare a schedule of goods. This schedule is to be signed jointly is by the incumbent-in-charge/officer-in-charge, investment department and the godown inspector/keeper of the branch. The client will also put his signature on the schedule as a token of his consent regarding procurement of the goods as per his order. The godown deeper shall retain one copy of the schedule in a file to be maintained in the godown. If any BM investment is secured by personal guarantee of any third party he should be brought under constant and effective follow up. Branch should send reminder to the client before fifteen days of due date of the payment so that the investment does not become overdue. The client will be served a final notice to make payment within seven days form the date of notice. If no response is received, steps should be taken to dispose off the hypothecated goods/mortgage properties to recover the amount. Suit may be field with permission from HO. Out of sale proceeds of securities, the investment account of the client will be adjusted and excess amount if any will be refunded to him by issuing and account payee payment order in his favor. In case of shortfall the matter may be immediately intimated to HO. Cash security, if any should also be appropriated. Refers to the process or mechanism by which the currency of one country is converted into the currency of another country. Foreign exchange is the means and methods by which rights to wealth in a country’s currency are converted into rights to wealth in a country’s currency, in bank when we talk of foreign exchange; we refer to the general mechanism by which a bank converts currency of one country into that of another. International trade helps to produce domestic production as well as global production. FSIBL gives paramount importance in its foreign exchange business to ensure profitability. FSIBL has been continuing to extend special importance on foreign business form the beginning of its establishment which is still prevailing during the year. To look after the business and also to ensure prompt service to the import and export officers having exposure and expertise in foreign exchange, posted both Head Office and Authorized Dealer branches. Foreign exchange is divided in three parts. The term exports means carrying out of anything from one country to another, as banker we define export as sending of visible things outside the country for sale. In a word export means goods are outwards and foreign currencies are inward. Export trade plays a vital role in the development process of an economy. During the year performance of export business of the bank was satisfactory. In 2008 export business stood at Tk. 4,145.00 million as compared to the volume of Tk. 3,648.40 million of 2007. If the bank authority satisfies with all the information provided by the exporter, steps are taken to smooth out the process of export. The exports from Bangladesh are subject to export trade control exercised by the ministry of commerce through chief controller of imports and exports. No exporter is allowed to export any commodity permissible for export from Bangladesh unless he or she is registered with CCI & E and holds valid export registration certificate (ERC). The ERC number is to be incorporated on EXP forms and other documents connected with exports. After having the registration, the exporter applies to the bank with trade license and ERC for getting EXP. If the bank satisfied an EXP is issued to the exporter. Securing the order after having the registration, the exporter may proceed to secure the export order. Contracting the buyers directly through correspondence can do this. After making the deal and on having the L/C opened in this favor, the next step for the exports is to set about the task of procuring the contracted merchandise. After those, exporter submits all those documents along with a letter of indemnity to the bank for negotiation; an officer scrutinizes all the documents. If the document is a clean one, FSBL purchases the documents on the basis of banker-customer relationship. This known as foreign documentary Bill purchase (FDBP). After purchasing the documents, FSIBL takes FDBP charges from customers A/c. a FDBF register is maintained for recording all the particulars. Foreign Documentary bills for Collection: FDBP signifies that the exporter will receive payment only when the issuing bank gives payment. The exporter submits duplicate EXF form and commercial invoice, an FDBP register is maintained where first entry is given, when the documents are forwarded to the issuing bank for collection and the second one is after realization the proceeds. Given entry in the L/C advising register. Letter of Credit (L/C) is an arrangement between an importer and the bank (issuing bank). The bank provides L/C in order to purchase goods from the exporter. The bank acts on the behalf of the clients to deal with exporter and the clients make the payments after receiving the goods accordingly. The person who opens the L/C is known as opener /Buyer/Importer of the L/C. the buyer and the seller conclude a sales contract providing for payment by documentary credit. The bank issuing the L/C in favor of exporter in known as opening bank. the opening banks open L/C on request of importer according to the application of the importer. The bank though L/C is advised, L/C will be sent to the beneficiary through their agent (corresponded bank) abroad. The duty of the advising bank is to authenticate the message so that reseller can act on it without any fear of forgery etc. Seller and export whose favor the L/C is opened. The beneficiary is normally the seller of goods who receive payments under documentary credit if he has compiled with terms and conditions thereof. The bank that is authorized to handle (purchase) the documents under the L/C in the exporting country is known as negotiating bank. L/C will stipulate either a notified bank to negotiate (restricted L/C) or any bank can negotiate in the seller’s country (unrestricted L/C). The bank that is (by the L/C issuing bank) to effect reimbursement is known as reimbursing bank. Reimbursing bank is authorized to honor the reimbursement claims in settlement of negotiation/acceptance /payments lodged with it by the paying /negotiation/accepting bank. A confirming bank is one which adds the guarantee to the credit opened by another bank, thereby undertaking the responsibility of payment /negotiating/acceptance under the credit in addition to that of the issuing bank. A confirming bank normally does so requested by the issuing bank. A back-to-back letter of credit is a new credit. The banks main security is the original credit. Bank to back L/C is opened under a master L/C one or more L/C is opened against one master L/C. Recommendation 3 on receipt approval from the competent authority, branch issues L/C. This means wait for payment. When the beneficiary sends the goods, they send related documents for payment to the bank. The bank starts the retirement procedure. At first checking these documents with the L/C, L/C time, date number, invoice, terms and conditions, beneficiaries. The issuing bank prepares voucher, then entries in the IBTA register, ETDA, and then sends to the ID. Id informed the bank, which maintains liaison between the issuing bank and advising bank. Then the bank pays to the beneficiary after checking the authentication code. Local payment, the bank used P.O and Demand Draft. S. Deposit margin on L/C Cr. S. Deposit VAT on L/C Cr. S. deposit A/C tax deducted from L/C com. (imp) Cr. Income A/C commission in L/C Cr. Income A/C data max Cr. Income A/C courier charge Cr. Import is foreign goods and services purchased by firms, customers and government in Bangladesh. An importer must have import registration certificate (IRC) given by Chief Controller of Import & Export to import any thing from other country. During the Year performance of import business of the bank was not satisfactory. In 2008 import business stood at Tk. 9,287.00 million as compared to the volume of Tk. 14,344.44 million of 2007. The importer enters in to a purchase contract with foreign suppliers. If suppliers have local agent, the importers obtain an indent and pro-forma invoice. If the suppliers have no local agents in Bangladesh, the importers holding valid import registration certificate (IRC). L/C application duly signed and sealed by the opener. At least 4 copies of pro-forma invoice/indent duly signed and sealed by the opener and beneficiary. Party application form duly signed and sealed by the opener. LCA/IMP forms duly signed and sealed by the opener. The exports and imports Act, 1950 regulate the country’s import trade. The chief controller of import and export provided the registration to the importer. Then the person secures a letter of credit Authorization from Bangladesh bank. And then a person becomes a qualified importer. To have an import L/C limit, an importer submits an application to the import department. An officer scrutinizes this application and accordingly prepares a proposal and forwards it to the head office. If the MD satisfies, he sanctions the limit and returns to the branch. After sanctioning the limit, an officer of FSIBL makes a L/C application. After making the L/C application, must be scrutinized by the authority. The transmission of L/C is done through tested telex or fax or mail to advise the L/C to the beneficiary. After receiving all documents, the negotiating bank checks the documents against the credit. It the documents are found in order, the bank will pay accept or negotiate to FSIBL. Usually payment is made within seven days after the documents have been received. A sale memo is prepared at B.C. rate to the customer. As TI and 00 rate is paid to the ID, the difference between these two rates is exchange trading. Finally, an inter Branch Exchange Trading credit advance is sent to ID. Telex is transmitted to the correspondent bank ensuring that payment is being made. Remittance means to sent or transfer money worth from one place to another In this case, the bank acts as the media to transfer or remit the money. Against the service it charges some commissions from the client. Drawing arrangements is made to facilitate remittance through concluding accounting relationship between a bank and corresponding, which may exist in the following three forms of accounts. An account, which a foreign bank maintains with a local bank, is called VOSTRO A/C. The account a correspondent bank, usually U.S. or UK, holds on behalf of a foreign bank. Also known as a loro account. Account used by a bank to describe a demand deposit account maintained with it by a bank in a foreign country. A Nostro or Vostro (from Latin: nostra and vostra, ours and yours) Account is a deposit account that a bank holds at a foreign or correspondent bank for the purpose of holding foreign currency and making/receiving international payments. A single deposit account is a Nostro account from the perspective of one bank and a Vostro account from the perspective of another. The bank that owns a correspondent account at a bank in another jurisdiction refers to such account as a Nostro account (“our account at your bank”). The correspondent bank will refer to the same account as a Vostro account (“your account with us”). A bank counts a nostro account with a credit balance as a cash asset in its balance sheet. Conversely, a vostro account with a credit balance (i.e. a deposit) is a liability, and a vostro with a debit balance (a loan) is an asset. Thus in many banks a credit entry on an account (“CR”) is regarded as negative movement, and a debit (“DR”) is positive – the reverse of usual commercial accounting conventions. With the advent of computerized accounting, nostros and vostros just need to have opposite signs within any one bank’s accounting system; that is, if a nostro in credit has a positive sign, then a vostro in credit must have a negative sign. This allows for a reconciliation by summing all accounts to zero (a trial balance) – the basic premise of double-entry bookkeeping. For example: FSIBL does some transactions (loans, foreign exchange, etc.) in US$, but banks in BD will only handle payments in BDT. So FSIBL opens a US$ account at foreign bank CitibankNew York, USA, and instructs all counter-parties to settle transactions in US$ at “account no.123456 in name of FSIBL, at CitibankNew York, USA. FSIBL maintains its own records of that account, for reconciliation; this is its nostro account. CitibankNew York, USA record of the same account is the vostro account. FSIBL is authorized dealer to deal in foreign exchange business. So it must provide some services to the clients regarding foreign exchange and this department services these facilities. The basic function of this department are outward and inward remittance of foreign exchange from one country to another country. In the process of providing this remittance services, it sells and buys foreign currency. The conversion of one currency into another takes place at an agreed rate of exchange, which the banker quotes, one for buying and another for selling. The difference between bank’s buying rate and selling rate is termed as ‘dealing spread’ or the exchange profit. FSIBL has been successful in terms of expansion of its remittance business with its correspondent and exchange houses. This bank has arrangement for drawing with the banks and exchange companies situated at the important countries of the world. In the mean time the bank has been able to draw confidence of the Bangladeshi expatriates by easy and quick delivery of their hard earned foreign remittance to pays at home. In 2008 foreign remittance stood at Tk. 806.00 million as compared to the volume of Tk. 330.00 million of 2007. Visible inward remittance: e.g. export proceeds. Invisible inward remittance: e.g. ; family maintenance consultant fee. Cash is remitted through TT, DO, etc. FSIBL has an Information Technology Division (IT) at the Head Office to provide IT support to all its branches. The bank has well documented guideline on information and communication technology (ICT). From the very beginning FSIBL was using computerized banking software “PcBank/M” for all the branches. Recently the Bank has replaced PcBank/M software with “PcBank2000” to provide online banking facilities to its clients. FSIBL is now providing online banking facilities with distributed system. The Bank also has SMS Banking service. FSIBL has a plan to introduce centralized system for online banking. Most Network users will have access to the following types of network resources. Access to Banking Application: There is several category users using the banking application. As per their tasks distribution, IT division provides the User ID privilege to the users. Access to Databases: Most databases will have a standard user level which gives users appropriate permissions to enter data and see report information. However only the database administrators will have full access to all resources on a database. Server Operator: Server operator has full privileges on servers including reading and writing of data, installing programs, and changing settings. Domain Administrator: Domain Administrator has full privileges on all computers in the domain including servers and workstations. Privileges include reading and writing data, installing programs, and changing settings. User ID maintains: Every user must have their unique user ID with valid password. If any user makes 3 consecutive unsuccessful attempts, he/she will be log out from the application. System never allows the same user ID and Password. FSIBL has a network documentation policy which is an internal policy. This policy defines the level of network documentation required such as documentation of which switch ports connect to what rooms and computers. It defines who will have access to read network documentation and who will have access to change it. It also defines who will be notified when changes are made to the network. This policy is designed to provide for network stability by ensuring that network documentation is complete and current. This policy should complement disaster management and recovery by ensuring that documentation is available in the event that systems should need to be rebuilt. This policy will help reduce troubleshooting time by ensuring that appropriate personnel are notified when changes are made to the network. To establish a plan for during he office hour disaster. Outside the Office hour disaster. Immediate and long term action plan in the line with business. Currently FSIBL banking software is running under distributed system. Bank has it’s own policy for the above matters. For any office hour disaster, branches can restore their own backup data. Backup data are available in the branch level, different geographical location as well as in the Head Office. Outside the office hour disaster branches can take the same procedure. Bank has it’s own long-term business plan as well as short term policy. All the application software, which are running at the branch level and Head Offcie level are well documented with the user manuals. Policy for backup/restore the transactional data is daily practice for the Bank. If any disaster is occurred with the life system than FSIBL need to use this Back-Up data. All the branches preserve Before End of Day (BOD) and After End of Day (EOD) backup for transactional data. Credit Rating Agency of Bangladesh (CRAB) Limited has assigned BBB1 (Pronounced Triple B One) rating in the long term and ST-3 rating in the short term to First Security Islami Bank Limited (FSIBL). Commercial banks rated in the long tern BBB1 belong to ‘Average Safety’ cohort. These banks are adjudged to be solid banks, characterized by average financials, valuable and defensible business franchises, and an attractive and stable operating environment. This level of rating indicates average capacity for timely payment of financial commitments, moderate likeliness to be adversely affected by foreseeable events. Commercial banks rated in the short term ‘ST-3’ category are considered to have average capacity for timely repayment of obligations, although such capacity may impair by adverse changes in business, economic, or financial conditions. Banks rated in this category are characterized with satisfactory level of liquidity, internal fund generation, and access to alternative sources of funds. Money laundering risk is defined as the loss of reputation and expenses incurred as penalty for being negligent in prevention of money laundering. For mitigating the risk the bank has designated Chief Compliance Officer at Head Office and Compliance Officer at branches, who independently review the transactions of the accounts to verify suspicious transactions. Manuals for Prevention of Money Laundering, KYC and Transaction profile have been introduced. Training has been imparted to Executives, Officers and staff for developing awareness and skill for identifying suspicious transactions and other Money Laundering related activities. During the year 2004 the total number of branches of First Security Islami Bank Limited stood at 12, in 2005 it was not changed and in year 2006 it stood at 15 branches. From 2007 the no. of Branches increased rapidly. In 2007 it was 20, in 2008 it was 29 and in 2009 it was 34. The Bank has proposed a long-term program to Bangladesh Bank to open more branches in phases in important locations in Bangladesh. As an organization the First security Islami Bank Limited has earned the reputation of top banking operation in Bangladesh. The organization is much more structured compared to any other bank operating local or foreign in Bangladesh. It is relentless in pursuit of business innovation and improvement. It has a reputation as a partner of consumer growth. With a bulk of qualified and experienced human resource, First security Islami Bank Limited can exploit any opportunity in the banking sector. It is pioneer in introducing many new products and services in the banking sector of the country. Moreover, in the overall‐banking sector, it is unmatched with any other banks because of its wide spread branch networking thought the country. This report tries to figure out most of the indicators of problems and strengths of First security Islami Bank Limited as a valid pretender in the competitive banking sector of Bangladesh. A severe cut throat competition is going on currently in this sector and that’s why First security Islami Bank Limited has to work out with different dimensions like – product diversification, market forecasting, proactive activities undertaken by First security Islami Bank Limited and some suggestion to get rid of the predicaments that exist.